This essay first appeared in Public Seminar. The process of European unification is undergoing a deep crisis, certainly the deepest since it started at the beginning of the 1950s. In less than a year, the EU faced two major tests — first the Greek quarrel, then the refugee crisis — that revealed its true face: a mixture of impotence, unwillingness, egoism, arrogance and cynicism. It is not a pretty spectacle. No illusions can remain about this entity that, far from embodying the federal ideal, has become an empty shell, an object of shame and deserved sarcasm. Those who still ritually proclaim its virtues are the representatives of a highly discredited political elite who seem to no longer have any culture or values. The more they assert their belief in the EU, the more they disqualify it, even in the eyes of the millions of people who have never felt any sympathy for conservatism, nationalism and xenophobia. Xenophobia is precisely the result of this political bankruptcy. It grows everywhere, nourished by fear, seeking scapegoats. The refugee crisis that is unfolding before us is its most dramatic expression. To receive these pariahs is an ethical and political duty, first of all because, far beyond any humanitarian concern, they are fleeing the West’s own wars. They are the product of the destabilization of the Middle East and North Africa, areas that have been thrown into chaos by several Western wars. Between the Iraq invasion in 2003 and the military intervention in Libya in 2011, these lands have been Balkanized; their states and economies have been destroyed; their already precarious ethnic and religious equilibrium, created one century ago with the partition of the Ottoman Empire, has been broken. Telling the truth means recognizing some elementary facts. Europe needs immigrants: it needs them for its survival, for stopping its demographic decline, for running its factories, its laboratories, and its services — thus for preserving its economic power, for financing the retirement of its aging population, and for opening itself to the global world. All observers stress this, but until now the only measures European leaders have been able to take have been border closure, the militarization of the Mediterranean, the expulsion of the undocumented and the multiplication of retention centers that function as anomic realms of humiliation and misery. Europe considers its immigrants a threat and refuses, in many countries, to naturalize “foreigners” who were born on their soil and educated in their schools; it promulgates laws whose exclusive aim is to stigmatize its own Muslim citizens. This lack of both vision and courage makes European countries responsible for the massacre that takes place daily in the Mediterranean. Some hundreds of thousands of refugees, even one or two million, are not so many for a rich continent of five hundred million people — nothing at all compared to the efforts of smaller and poorer countries like Lebanon, Jordan or Tunisia. This crisis, nevertheless, has been enough to put into question the Schengen treaty, to provoke border closures inside the EU, and finally to reveal the complete inability of EU governments to find a common policy. This is reminiscent of the Evian Conference of 1938, when Western powers proved their unwillingness to receive Jews fleeing Nazi Germany. Nobody wanted them, and the arguments put forward in order to justify this refusal were strangely similar to the current rhetoric of our politicians: the economic crisis, the lack of infrastructure such as reception centers, the hostility of public opinion… History repeats itself, and the Holocaust memorials inaugurated in many European countries over the last few years simply prove the hypocrisy of European institutions. They wish to commemorate the victims of past genocides and uphold the rights of man, but they are completely indifferent to the victims of the present. The contrast between current European leadership and their predecessors is illuminating. One is tempted to admire the founding fathers of the EU. I am not even speaking of the intellectuals like Altiero Spinelli, who imagined a federated Europe, despite being in the middle of a terrible war. 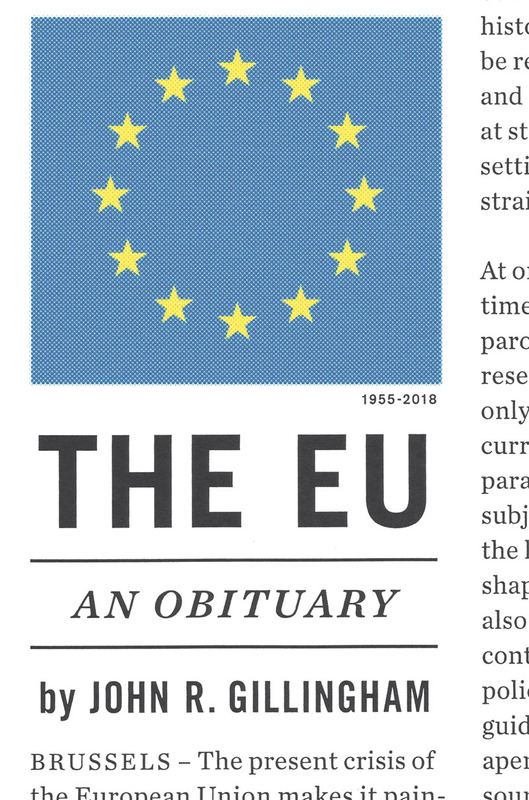 I am thinking of the architects of the EU — Adenauer, De Gasperi, and Schuman. All of them were born, as Susan Watkins recently reminded us, in the 1880s, during the apogee of nationalism, and grew up at a time when people still traveled in horse-drawn carriages. They probably shared a certain European conception of Germanness: Adenauer had been mayor of Cologne, De Gasperi had represented the Italian minority in the Hapsburg Parliament, and Schuman grew up in Strasburg, in German Alsace before 1914. When they met, they spoke German, but they defended a cosmopolitan and multicultural vision of Germany, far from the tradition of Prussian nationalism and pan-Germanism. They had a vision of Europe, which they sketched as a common destiny in a bipolar Cold War world, and they had courage, insofar as they proposed this project to peoples that had just finished trying to destroy each other. Their project of economic integration — coal and steel — rested on political will. They conceived of a common market as the first step towards political unification, not as an act of submission to financial interests. For better and for worse, Kohl and Mitterrand were the last to pursue this goal. They did not have the same stature as their predecessors, but neither were they simple executives of banks and international financial institutions. The generation who has replaced them at the turn of the twenty-first century has neither vision — they boast about their lack of ideas as a virtue indicative of their post-ideological pragmatism — nor courage, insofar as their choices always depend on opinion polls. The paradigm case is Tony Blair, who has made an art of lies, opportunism, and political careerism. Today he is hugely discredited in his own country but still involved in several lucrative ventures. A convinced Europeanist — the most Europeanist among postwar British leaders — he embodies a new mutation: a neoliberal political elite that transcends the traditional cleavage between right and left. Tariq Ali calls it the “extreme center.” Blair was the model for François Hollande, Matteo Renzi, the leaders of the Spanish PSOE, and even, to a certain extent, Angela Merkel, who rules in a perfect harmony with the SPD. Neoliberalism has absorbed the inheritors of both social democracy and Christian conservative currents. The result of this neoliberalism is the impasse of the European project itself. On the one hand, the lack of vision has pushed the EU to conceive itself as an agency charged with applying the measures demanded by financial capitalism; on the other hand, the lack of courage has impeded any advance in the process of political integration. Obsessed by opinion polls and the media, EU statesmen think that politics means helping the market economy and seducing the voters with populist and xenophobic arguments. Paralyzed by the impossibility of returning to old national sovereignties and unwilling to build new federal institutions, the EU has created a monster as unusual as it is awful: the “troika” has neither a proper juridical/political existence nor democratic legitimacy, yet nevertheless holds the real power and in fact rules the continent. The IMF, the European Central Bank (ECB), and the EU Commission can dictate policy to any national government, evaluate their application and decide compulsory adjustments. They can even change a national government, as occurred in Italy at the end of 2011, when Mario Monti, the trustworthy man of the ECB and Goldman Sachs, replaced Silvio Berlusconi. Sometimes they impose their sentences on a country, like last year with Greece. The right to decide life and death which, according to Foucault, constitutes classical sovereignty, is precisely the right the “troika” exercised during the Greek crisis, when it threatened to asphyxiate and kill an entire country. When the “troika” does not have specific interests to defend, like today with respect to the refugee crisis, the EU no longer exists and breaks up: every country wishes to close its borders. This overwhelming power does not emanate from any parliament or from popular sovereignty, since the IMF does not belong to the EU and the ECB, but is an independent institution. Thus, as many analysts observed, following Carl Schmitt, the “troika” embodies a state of exception. In the current EU, the political has become completely subordinate to the financial. In short, it is a state of exception that establishes a sort of financial dictatorship, a neoliberal Leviathan. The “troika” establishes the rules, transmits them to the different EU states and then controls their implementation. This is, in last analysis, the “ordo-liberalism” of Wolfgang Schäuble: not capitalism submitted to rules, but financial capitalism that dictates its own rules. Who might personify such a financial state of exception better than Jean-Claude Juncker? For twenty years he led the Grand Duchy of Luxembourg, whose main purpose (and the source of its prosperity) is its status as a tax haven. Juncker transformed his country into the fatherland of capitalism without rules. The definition of the state coined by Marx in the nineteenth century — a committee for managing the common affairs of the whole bourgeoisie — has found its almost perfect embodiment in the EU. This state of exception also reveals a paradox concerning the role of Germany, the EU’s most powerful component. At the time of the Cold War, “Great Germany” (Grossdeutschland) had become a historiographical object, a kind of “future past” tinged with either nostalgia or relief: the demonic greatness of the Macht der Mitte (Michael Stürmer), the Mitteleuropa dreamed by Friedrich Naumann, or the nightmare for the small countries stuck between Prussia and Russia, permanently fearful of being annihilated (therefore affected by a form of “political hysteria” carefully scrutinized by Istvan Bibó). After the fall of Berlin Wall and national reunification, however, Germany suddenly recovered its old status as a central power at the heart of an enlarged EU. In 1990, this comeback of “Great Germany” frightened not only its neighbors but also many of its own citizens. We had just emerged from the Historikerstreit — the violent controversy that opposed Jürgen Habermas to Ernst Nolte, constitutional patriotism to historical revisionism — and some significant personalities of the Bundesrepublik like Günther Grass wished to maintain a divided nation: the wound should remain open. As a warranty for the annexation of the GDR by the GFR, Poland asked for a new treaty recognizing the Oder-Neisse line as a sacred border. At that moment, France, which always conceived of the process of European integration as a strategy for neutralizing Germany, accepted the reunification in exchange for a shared currency. With a Machiavellian perspective, the most brilliant French senior officials — les énarques — convinced Mitterrand that any German ambition for conquest could be suffocated through the absorption of the Deutsche Mark by the euro. The creation of a European currency without a European state seemed to them a clever containment strategy. At that time, Europe experienced a powerful awakening of the past that pushed the Holocaust to the core of its collective memory and reinforced the fear of a return of pan-Germanism. When the Bundesrepublik abandoned the Deutsche Mark to share a common currency with its European partners — including Southern countries like Italy, Spain, Portugal and Greece — the image of the Wehrmacht soldiers parading in Prague, Warsaw, Milan, or Paris was definitively vanquished. Twenty-five years later, this fear appears nonsensical. During this time span, the idea of rebuilding the prewar Reich has not entered the mind of any German politician. Today, a gigantic Holocaust memorial lies in the heart of Berlin beside the Parliament, and Germany remains, in spite of Pegida’s demonstrations and the electoral success of Alternative für Deutschland, one of the less xenophobic countries of the continent compared with France, Italy, Belgium and the Netherlands, not to mention the new EU members, among which Hungary distinguishes itself for its racism. The Volk ohne Raum has become an archaic myth and German expansionism has found in the euro its most effective instrument. Ordo-liberal Germany does not need a powerful army in order to conquer the continental markets. For this, the euro is enough. 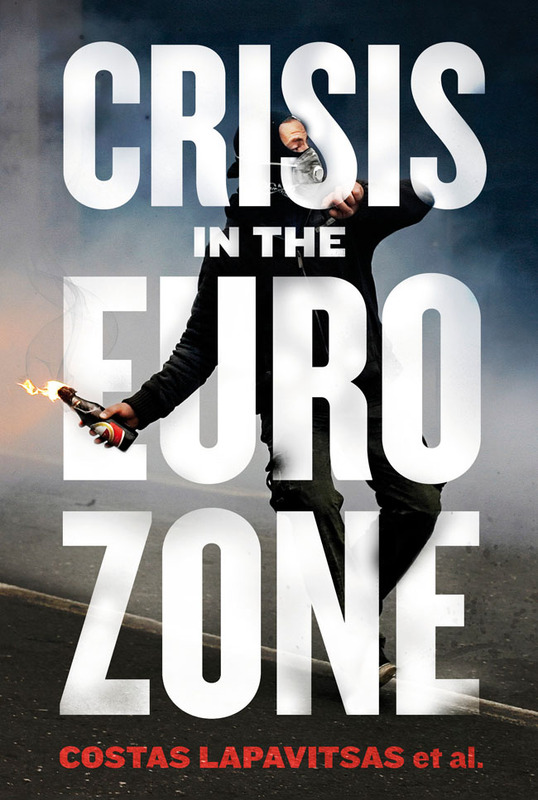 This is the European paradox that illustrates an astonishing heterogenesis of ends: the euro, which was born to contain German power, has become the latter’s instrument and even, as the Greek crisis eloquently showed one year ago, its symbol. Monetary union without political union is destroying democracy by discrediting any national government devoted to austerity policies and by expanding social inequalities between the countries of the continent. Without any democratic sharing of resources or strategy for common development, monetary union has become a perverse mechanism that drains resources from the poor to the rich countries. German banks, and the German economy more broadly, prosper at the expense of many indebted countries. Such heterogeneous ends in the construction of Europe not only reveal the blindness of the inventors of the euro; they also unveil the historical irresponsibility of its beneficiaries. The euro allowed Germany to reinforce its power but it did not give it the legitimacy to lead a continent; Germany rather showed its incapacity to play a leading role. National Socialism, the defeat at the end of the Second World War, and the Cold War exhausted the geopolitical ambitions of Germany without decreasing its national egoism. This is one of the causes of the European crisis since Germany is compelled by its geographical position and its economic and demographic strength to play a leading role in the continent. This requires from its leaders both vision and courage, exactly the qualities the current German leadership lacks. It has neither an ambitious continental vision nor the courage to make choices that could threaten its own national egoism. 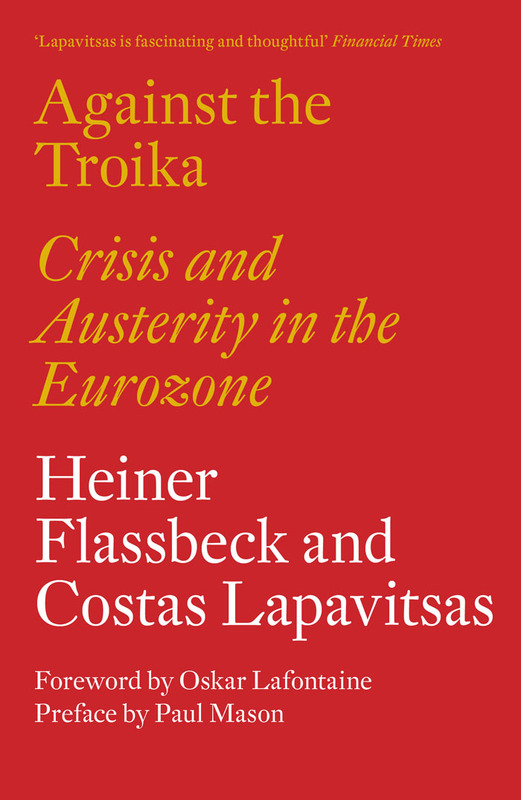 Jürgen Habermas wrote that, during the negotiation that forced Greece to surrender to the “troika’s” blackmail, Merkel and Schäuble were able to vanish, in a single night, the efforts made for decades to restore Germany’s dignity within the international community. This is probably true, and the punishment inflicted on Greece is but little compared to the damage done to the image and idea of European unity. The German leaders cannot lead a continent of five hundred million people acting as the representatives of the Bundesbank. The definition of British colonialism in India coined by the scholars of subaltern studies, corresponds quite well to the German position in contemporary Europe: “rule without hegemony.” The evident weakness of the German leadership also benefits from the passivity of many other countries, notably France, which has lost its competitive ambitions, but also Italy and Spain, which accept their role as obedient pupils (without any difference between left and right leaderships). In short, the EU is collapsing and risks disintegration with the emergence of a xenophobic and populist wave. The European project needs to be completely rethought, far from the current state of exception. Maybe the Greek crisis of last year was the symptom of a still invisible, subterranean but deep change. Syriza’s government could not withstand the “troika” steamroller, but for six months Alexis Tsipras was a symbol for the entire continent. Today, hopes turn toward Spain and Podemos, as well as the UK, where Jeremy Corbyn expresses a similar will to change. 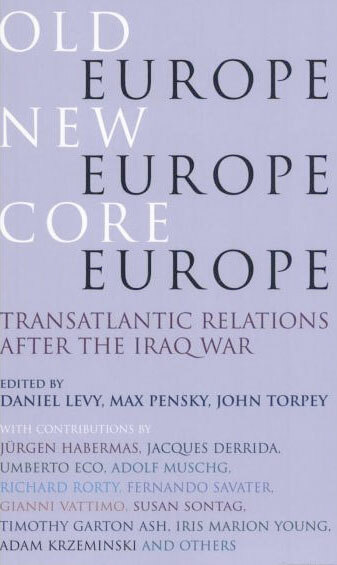 They show that xenophobia is not the only possible outcome of the EU crisis, and that returning to old national sovereignties is not the only alternative to neoliberalism and capital globalization. They also show that in order to build such an alternative we need to change the left itself, and to transcend the paradigms inherited from the twentieth century. 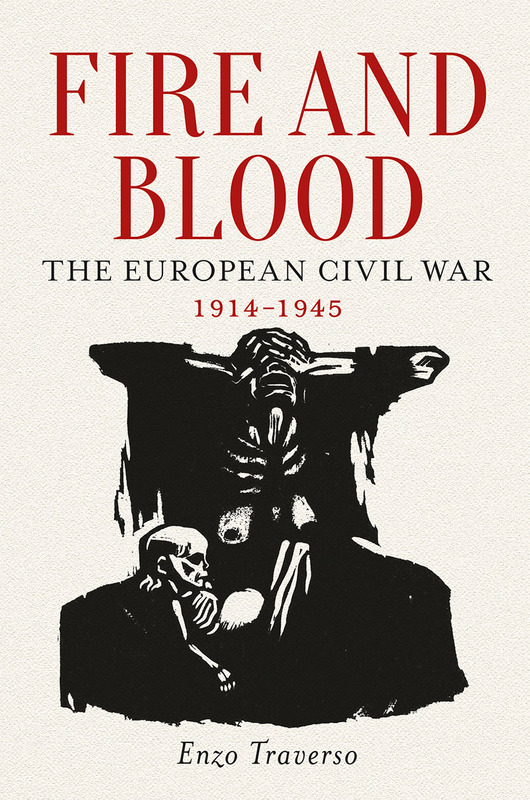 Enzo Traverso is the author of Fire and Blood: The European Civil War, 1914-1945.